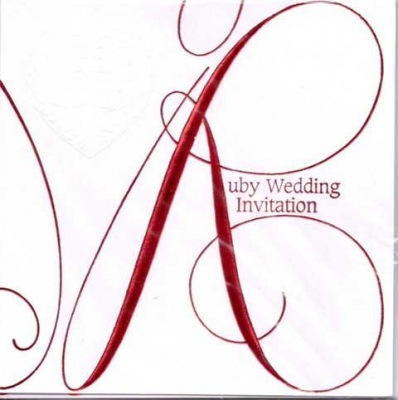 A pack of 6 eye catching ruby wedding anniversary invitations. 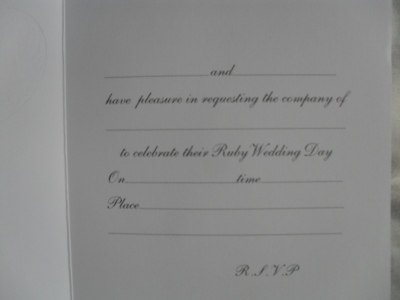 Each invitation has been embossed in red writing with an embossed heart to the corner. Comes complete with a printed insert ready for you to add your anniversary party details and envelopes.